Parmeet once struggled to provide for his family because he couldn’t work in the extremely harsh weather. Now, because of his new jacket, he can work even when it is very cold! “I have many times cried because of the bitter cold,” shared 70-year-old Parmeet during an interview with a GFA-supported field correspondent last year. Where Parmeet lives, it drops below zero degrees Fahrenheit in the winter. Throughout the winter months, people can’t even take a bath because it is so cold—they only wash their faces, and that only after heating the water. “If we touch the cold water, it hurts our hands so badly,” Parmeet explained. People’s hands become dry and cracked. Frostbite is a regular threat for Parmeet and his large family, who layer all the ragged clothes they own in an effort to stay warm. To survive the frigid nights, the entire family crowds together near the kitchen stove and sleeps on sacks filled with husks and sawdust. 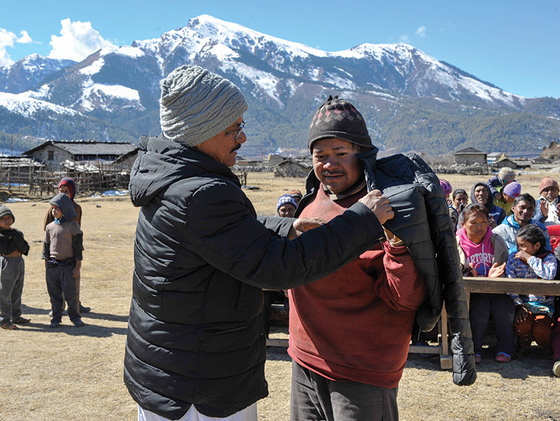 Sustained by the warmth of the jacket, this father, who already knew the love of the Savior, can work longer hours and make more money to feed his family. 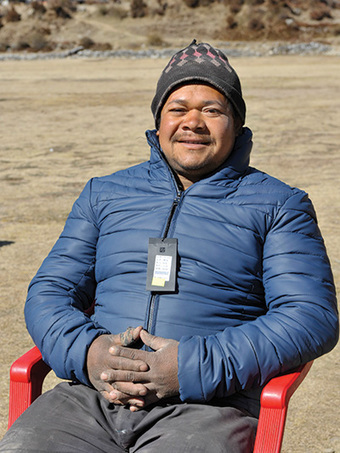 Although a large percentage of winter clothing packets go to help pastors and other GFA-supported workers, some are also given to help and encourage men like Parmeet.